Zen Windows is recognized as another one of the leading providers for replacement windows in America today. Because Zen pays personal attention to each customer, their quality of work is reflected in each and every window. Zen Windows was founded by Dan Wolt on the idea that “buying windows should be as simple as buying clothes from a local boutique”. When improving your new vinyl replacement windows, there are a variety of companies that you could deal with. Aside from getting a good window at a good price, you can relax knowing that your product will be serviced throughout the life of your home when becoming one of Zen’s valued clients. This is because Zen vinyl replacement windows are a lifelong investment. This time-tested window company has endured through the years because of their great customer service., leaving Zen’s windows to adorn many homes across America. At Zen they believe that finding replacement windows for your home should be a simple, pleasant experience. They want to share their unique passion for windows with each customer, helping you change your home or business into a place you love. Windows from Zen are available in either wood grain or vinyl. Zen offer quite a diverse product line, featuring only the best quality materials. Windows at Zen are suitable for any remodeling project. Up until 40 years ago, homeowners only had one option when it came to glass – a single pane. America was introduced to the first custom-insulated glass window in the 1960’s, which changed windows forever. Soon after, a double-paned glass window was introduced. Over time, many features were added to, not only the glass on the window, but also the spacer system that separated the glass on the window. The glass on a good window these days can be so advanced, it actually serves as a climate control system for the home. Today, the windows by Zen have been enhanced with features such as Low-E, Argon gas and krypton gas. Low-E is popular because it allows natural light freely into the home, lowering heating costs as well as cooling costs. 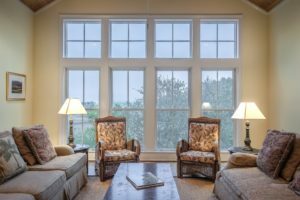 With the increasing rate of technology, there has never been a better time to consider new replacement windows for your home. Many companies will claim to have lifetime service warranties when they really do not. Zen believe in their products and staff, so much so they offer a lifetime warranty with all their products. Zen’s Windows cannot be ignored as an industry achievement. See How Much You Can Save On Zen Windows Today! Prices of window products at Zen Windows differ according to type, color, size, and features. Thus, it is necessary to compare prices of various Zen window types and to put products side by side in order to see the pros and cons. When it comes to warranty, Zen offers different warranties depending on the model, as most of them give their products a certain length of warranty years based on materials and confidence. Therefore, the price of the end product you will get is dependent on your careful selection and inspection.